True Coastal Living! 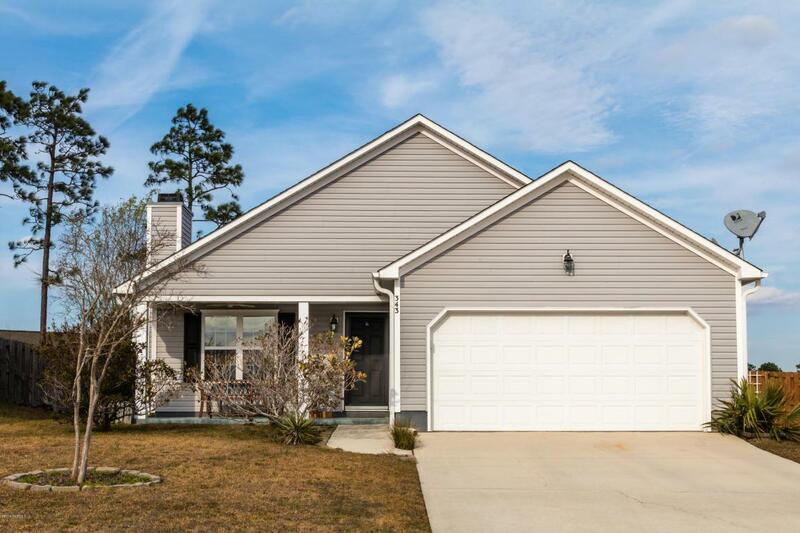 This stunning home is conveniently located halfway between Jacksonville & Wilmington, in the sought-after subdivision, The Neighborhoods of Holly Ridge. 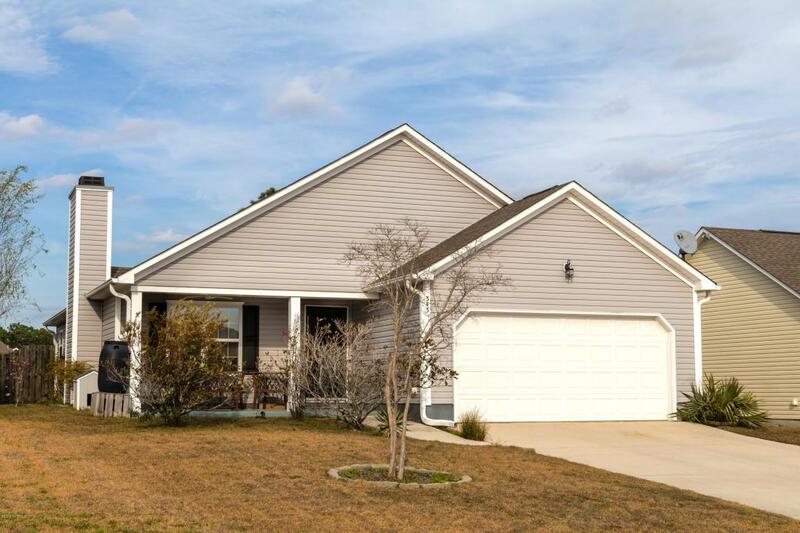 This is your chance to own a piece of everyday vacation type life, where you're only moments to the beach and nestled in a neighborhood with sidewalks, streetlights, a picnic area, and even a cute little book exchange! Located at the top of the hill, this home's pillar lined front porch, complete with a fan, is the perfect spot to enjoy summer evenings. Boasting vaulted ceilings, and blanketed by natural sunlight, the Living Room provides plenty of room for entertaining. Offering views into the living room, kitchen, and backyard, this home's dining nook is sure to be one of your favorite gathering spots.Elegance meets functionality in the kitchen, which features ample honey oak cabinets, breakfast bar seating, and a deep double basin porcelain sink. The spacious Master Bedroom features a private Master Bathroom and huge closet. 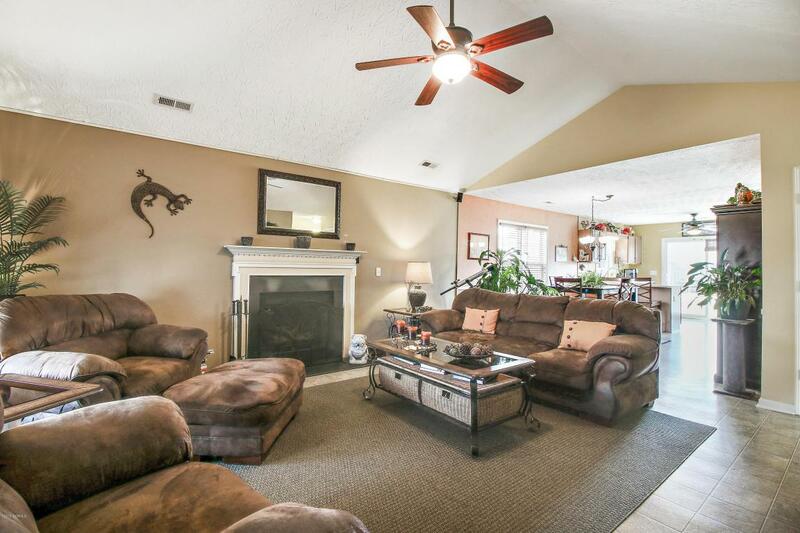 This floor plan provides for two ample sized bedrooms, just down the hall from the Master Bedroom. The full-sized guest bathroom is lined with crown molding and offers ample space. Upgrades and extras include a ton of closet space, surround sound in the living room, a new touch screen thermostat, and vinyl flooring throughout. If you enjoy spending time outdoors, this backyard is perfect for you! Surrounded by privacy fencing, this tranquil yard offers a serene retreat. No need to worry about storage here, as the shed conveys. 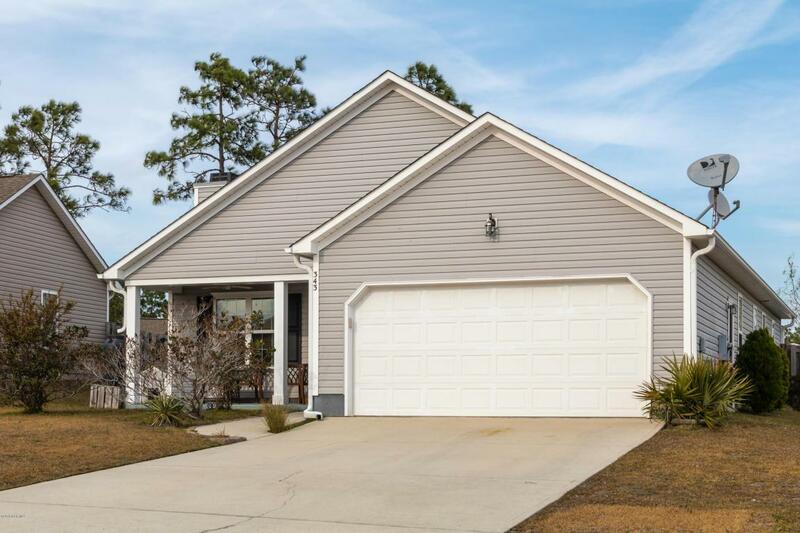 The prime location of this home allows for a short drive to Stone Bay, Courthouse Bay, Camp Lejeune's Sneads Ferry gate, and MCAS New River. Call today to schedule your personal showing!